It's a crisp November afternoon in Breda, Holland, about an hour outside of Amsterdam. This is the hometown of Hardwell – the place where he grew up as a lad. After the DJ extraordinaire greets us at his door with a smile, we make the descent down a staircase which leads to his main living quarters. Passing a pair of Pioneer CDJs and a plethora of awards along the way, we soon find ourselves at a purpose-built room which houses his brand new, state-of-the-art recording studio. It’s got more than a hint of the futuristic to it, with its bright white walls and floors. In fact, I’m half expecting a storm trooper or two to march in. Hardwell played his first ever show here in Breda when he was just 12-years-old. It was somewhat unconventional, but enough to convince him that music was the future. And a lot has happened in that time. Especially since 2009, when his bootleg of Show Me Love vs. Be raised more than a few eyebrows in the industry. The following year, he launched his own label, Revealed Recordings, which is the hub of his musical operation today, and caters for a whole string of musical genres. In addition to his own material, he mixes for bands, masters records, and works with many up-and-coming ‘bedroom’ producers. With all that in mind, I ask him if he fell into the EDM scene, and whether the long-term focus was somewhat broader? A fair point. And if it is, EDM has done Chris Martin and co. no harm; reviews suggest A Head Full Of Dreams is their best work to date. I ask Hardwell about his own debut album, United We Are, which was released in March 2015. What took him so long, I wonder? “[smiles] I suppose I really wanted to release it three or four years earlier, but at that point, I really broke through as a DJ, especially in America, so my touring schedules were enormous,” he explains. “I was doing up to 300 gigs a year, so no studio time for me! All the instrumental singles I’d been releasing from 2007 to 2013 were made on the road and in hotel rooms, and I just finished them off back home. It was just me and my MacBook, as I was always on the road. We regress some 18 months, when Hardwell put on a show in New Delhi, India. It ended up being the catalyst to him creating his own charity, and planning a record breaking show in Mumbai that would turn heads across the globe. It also shows just the kind of bloke Hardwell really is. The event, which took place on December 13th in Mumbai, boasted the world’s biggest ever guest list – 100,000 - and is part of a global endeavour to educate young children in different communities around the world. That sounds like a hell of a challenge. Staggered, and still trying to compute that information, I ask Hardwell what it means to him on a personal level, seeing his monumental fanbase back his every move. And what a move it is. During the Mumbai event, aside from playing music, Hardwell played games with the kids, and handed out prizes in abundance to the competition winners. What a legend, and now a local hero. As Hardwell pulls up a mix he’s been working on, I notice that there’s a certain softness to the whole sound. It feels easy on the ear. I quiz him about it. 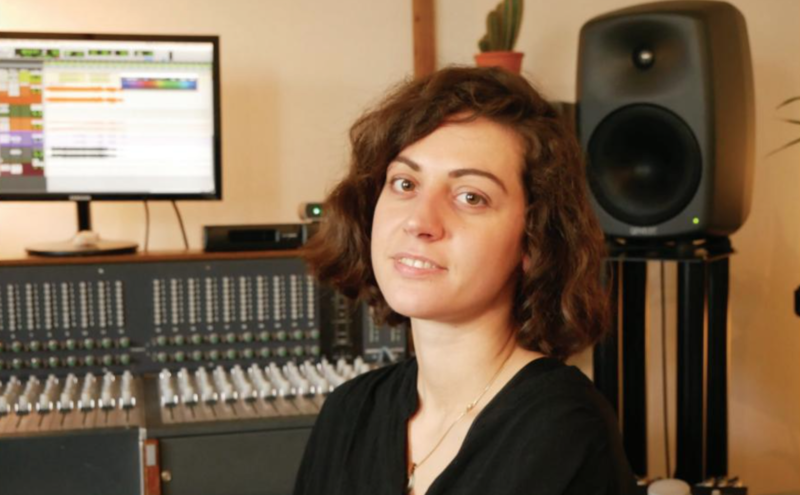 “When I was a bedroom producer, I always worked on the small Dynaudio speakers; and then I switched to the Focal SM9s, which were very good for me back then. But recently, Jan [Morel, studio designer] played me the Genelec 1034s for the first time, as we were building this new room, and I fell in love with the sound right away,” Hardwell says, and turns the volume up a little more, allowing his Genelec 7073 subs to kick in a little. “I wanted to have a main monitor system, but not too big, because if you’re producing day in, day out, your ears will get tired. I spend 12 hours a day in this studio, and I can tell you I never switch back to my nearfields, because my ears never get tired. It’s a main system, but it still feels really close to you. The only things you crank are your ears! Hardwell doesn’t mix loud, yet he doesn’t mix quiet: “It’s listenable, but not at crazy club level,” is how he puts it. I ask him about his vocal production, as I felt the lead vocal on his latest single, Mad World (feat. Jake Reese), sounded particularly good. “I use the Waves PuigTec EQP-1A plugin when I am EQ-ing my vocals; it’s really important to me,” Hardwell reveals. “First, you tune the vocals by Melodyne - it’s what everybody is using – and then it’s about EQ-ing the low end. I use the PuigTec to boost the vocal around 100Hz, and I also boost it a little bit around 8k. That makes it very warm in the low end, and crispy in the high end – and you really get the presence across in the vocals. We move onto Hardwell’s life on the road, and the love he has for his four Pioneer CDJs. He doesn’t know where he’d be without them, he admits, and explains that he is working closely with Pioneer on developing the new CDJ model. I ask him where he finds the time and the energy, which brings us on to his all-important diet. Before I leave him to prepare for his next show, I ask Hardwell how much bigger and better the EDM scene can get, now that it’s on such a global scale. In his eyes, there are no limits, it seems. “EDM is a world phenomenon, and it will stick. It’s so big right now, and four years ago, nobody knew what it was in America, except in the underground. EDM nowadays is pop-crossover, radio friendly, a bit of everything,” Hardwell enthuses. “Nobody can predict the future, or where it’s going genre-wise, but what I know as a producer is that dance music keeps evolving. Four years ago, everyone was blown away: ‘Who is this guy, Skrillex?’ ‘dubstep – what is it?’ Then last year, future house arrived, which is a variation of big house; it’s not super-big room, but it’s not underground. So as long as genres keep evolving, it has a future."